Seal measures 43 - 1/4 inch long. 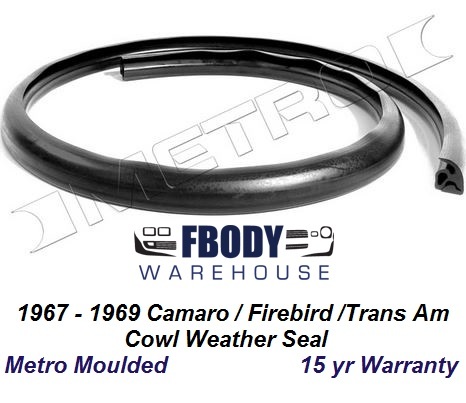 This is a replacement soft rubber hood to cowl seal for 1967-1967 Camaro and Firebird. This seal clips to the underside of the hood, and seals between the hood and cowl ledge. Replace your missing or dry rotted seals today! Produced by Metro Moulded and backed by a 15 year replacement warranty.